Mobile World Congress (MWC) in Barcelona is winding down, and the big news makers for 2018 were Samsung with its new Galaxy S9 and S9+ smartphones and Nokia with its collection of four new smartphones and the reworked 8110 feature phone. But, as is the case every year, there were a handful of non-phone releases that piqued our interest, too. These are the best of them. Chinese hardware manufacturer Huawei eschewed launching a new phone in favour of a high-end tablet computer – the MediaPad M5 – and an equally plush laptop – the MateBook X Pro. Clearly intended to challenge Apple’s 12in MacBook (and blatantly taking stylistic cues from it, too), the MateBook X Pro is an ultraportable, slim and potent package. 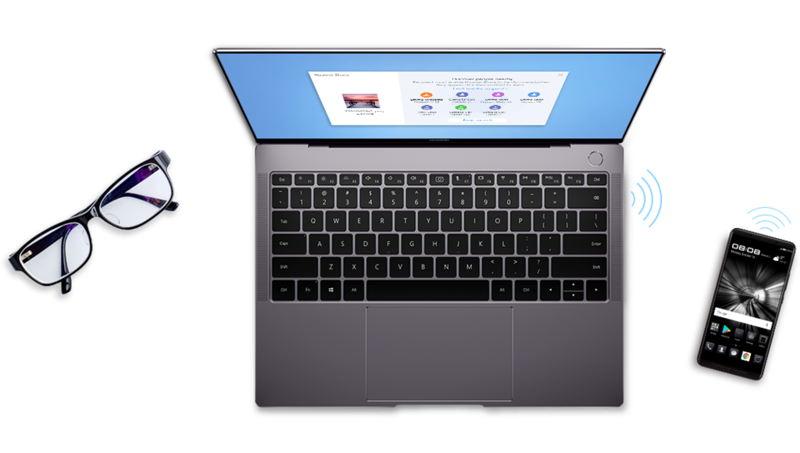 Available with Intel’s 8th generation Core i5 or i7 processors and packing a 13.9in 3K touchscreen with impossibly thin bezels, the MateBook X Pro also includes a full-sized USB port and two USB-C ports (one of which supports Thunderbolt 3 for peripherals like screens and hard drives). For extra novelty points – and because of those super-slim bezels – the webcam is built in to the F6 key and pops up when you need it. The original Sony Xperia Ear was a curious mix of Bluetooth earpiece and digital assistant reminiscent of the earpiece from the science fiction film Her. It was a novel idea, but being a single earpiece it wasn’t very well suited to listening to music or other media. Sony’s taken these critiques to heart while keeping the best of the original Ear. The result? The Ear Duo. A novel in-ear ring allows you to hear ambient noise as well as music, and the digital assistant alerts you to appointments, provides weather forecasts and lets you interact with other voice-based assistant like Google Assistant and Apple’s Siri. Plus, you can take or make calls from them, all without taking your phone out of your pocket. As for the design, well, the Ear Duo could be subtler, but perhaps that’ll come in the second generation. After a protective case, the next most important smartphone accessory for many people is a microSD card. Big cards are all good and well, but it’s also important that they’re speedy, especially if you’re looking to record 4K video to them or otherwise transfer large quantities of data rapidly. Which is why Sandisk’s new 400GB microSD card is so impressive: it doesn’t just offer heaps of storage, it’s fast, too. Dubbed the "Extreme A2 microSD UHS-1 microSDXC", this red and gold fingertip-sized card offers read speeds of up to 160MB/s and write speeds of up to 90MB/s. Before you dash out to buy one, do make sure the device you plan to use it in can support it. Incidentally, one of the first devices to support 400GB microSD cards is another star of MWC 2018, Samsung’s Galaxy S9. And speaking of Samsung, one of its non-phone MWC releases was also one of the most talked about. The new DeX Pad is a refined and reworked version of the DeX Station that arrived with the Galaxy S8 and S8+. The basic notion is the same: connect your Samsung to the DeX along with an external display and a mouse and keyboard and you’ve essentially got a desktop computer that you can stick in your pocket and take home at the end of the day (and potentially keep working on during the commute). The DeX Pad, however, opts for a new design where the S9 or S9+ connects by laying flat, which means you can use the phone’s screen as a keyboard or trackpad. There’s also a built-in fan to keep things cool, an HDMI port that now supports 4K displays, and the Ethernet port has been culled, presumably because anywhere you’re likely to use it is also likely to have Wi-Fi. At launch the DeX Pad will only work with Samsung’s latest handsets, but the company says support for the S8, S8+ and Note 8 will follow, so if you’ve already got those you needn’t worry.